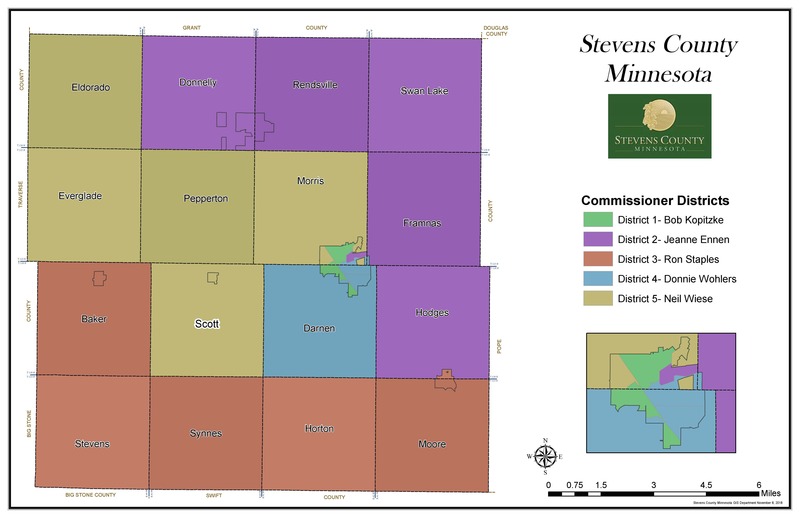 The Stevens County Board of Commissioners serve as the governing body for Stevens County. Five Commissioners are elected by their respective district voters. The Board is the final authority for the establishment of policies, budgets and tax levy. Board meetings are held on the 1st and 3rd Tuesdays of each month. To download this map, follow this link.